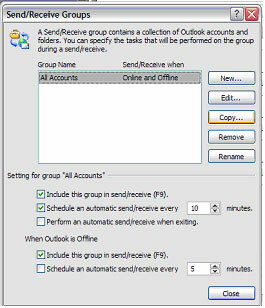 Ever wanted to automate Microsoft Outlook to download your email at a set interval? Tired of always having to hit that Send/Receive button? 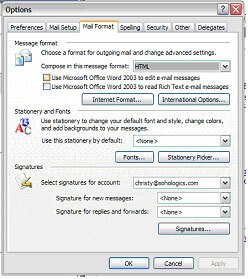 Now you can setup Microsoft Outlook to receive your email every 10 minutes. Here’s how. Click Tools, and select Options. Select the Mail Setup tab in the “Options” window. Check the Send immediately when connected check box, and then click the Send/Receive… button. 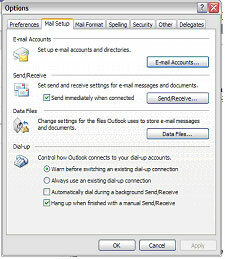 Check the Schedule an automatic send/receive check box, and select your send/receive for every 10 or more minutes. Note: It is very important not to schedule your send/receive for less than ten minutes, to avoid clogging and overrunning your local server. 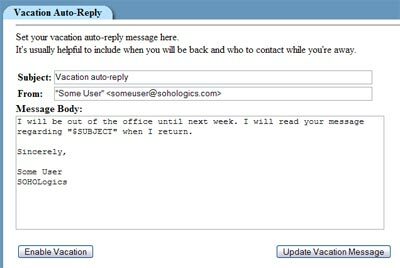 Ever wondered how to setup an out of office reply for your SOHOLogics mail account? If you host with us, this tutorial will show you how. First thing is first, you must have your email username and password. Check your hosting setup email for help. 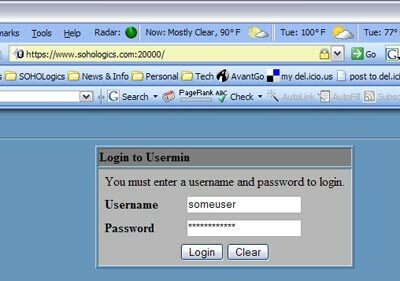 If you do not have the setup email, feel free to call SOHOLogics to request your password. You can reach us at 214.766.7168. 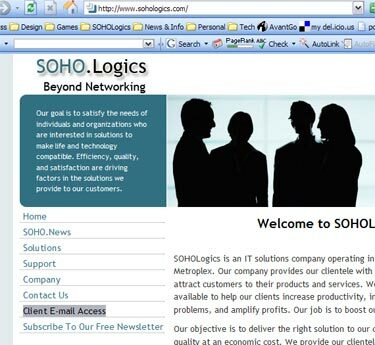 Note: You have to host your domain with SOHOLogics for this article to work. If you do not currently host with us, please check out our Web Hosting page for further details on how you can join SOHOLogics. Open your web browser and enter the following URL: https://www.your_domain_name.com:20000/. 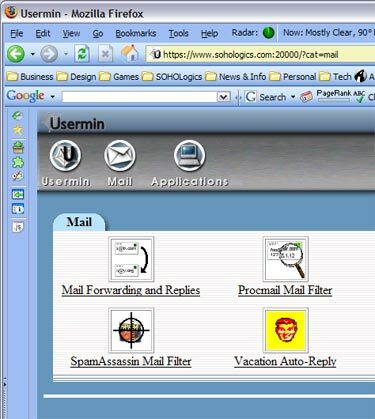 You can alternatively access the web mail software by visiting our website at www.sohologics.com and clicking on the Client E-mail Access link. You will be presented with a login page to Usermin. Enter your username and password and click Login. 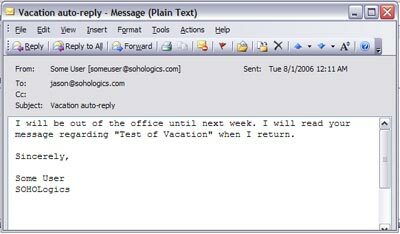 Click on the Mail icon on the gray toolbar, then, click on the Vacation Auto-Reply icon. Enter your Subject and Message Body as you wish. Make sure your email address is correct in the From input box. Click the Enable Vacation button when finished. Do not forget to log out when finished to protect your email account from unauthorized access. Here is a sample message the server generated after I setup a vacation message and then emailed the account. That is it. You are finished. You now know how to setup an out of office notification. When you return to the office, just log back into Usermin, go back to the Vacation Auto-Reply page and select Disable Vacation. Have you ever needed to send a big file through email? Have you ever seen that ominous error message your email program spits out when it finally determines its too big? Have you ever had to wait hours to send that email attachment? Maybe size does matters. Well, how about diving into that really cold pool and shrinking that email to a smaller size. That’s what WinZip and other compression programs that are available on the Internet will do for you. So, let’s get small! First, lets start by going to www.oldversion.com. 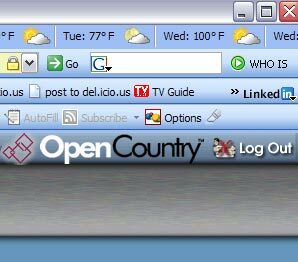 OldVersion.com is the best place to download WinZip because you can download an older version which works much better for our shrinking purposes. 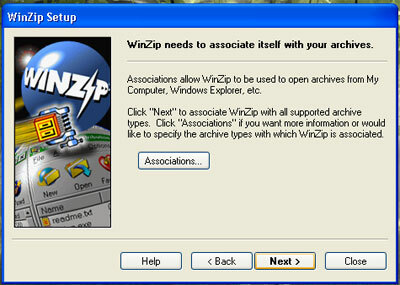 However, you can get the latest version at www.winzip.com. 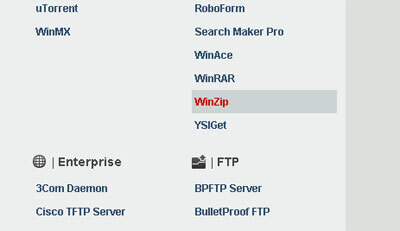 Once OldVersion.com loads, scroll down to the Utilities section and locate the WinZip link. 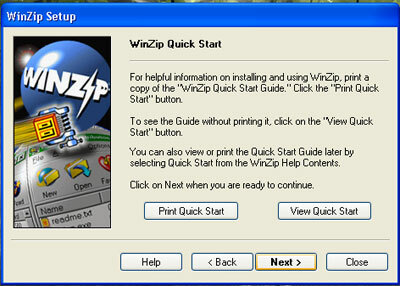 The next page will show a list of all the versions of WinZip that are available. 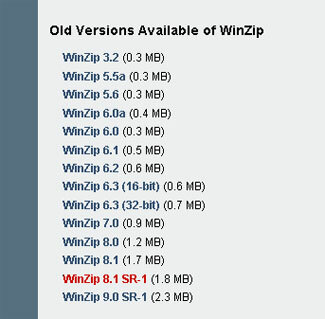 I recommend you install WinZip 8.1 SR-1. Click the download link to start the download. When prompted, select Save As. Save the file to your Desktop. After the download finishes, find the installation program on your desktop. It should look something like the below icon. Double click on it to start the installation. The installation will start. Select Setup. 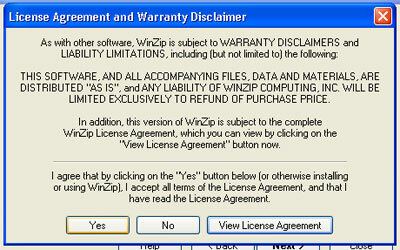 Click Ok to accept the path where WinZip will live. Legal Speak: blah blah blah, blah blah. Select Yes. Click Next on this window to get the installation rolling. 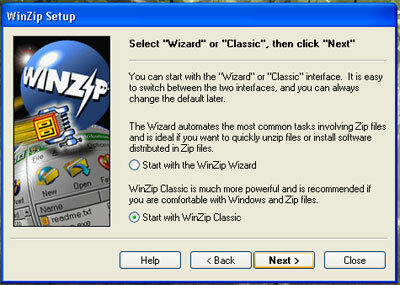 On this screen, you can select between the Wizard view or the Classic view. I prefer the classic view because it gives you more options. I cover the classic view in this article. Make your selection and then click Next. On this screen, select the Express installation to speed things up. Then select Next. On this screen, check the box to delete the installation file. You won’t need it any more. Now click Finish. 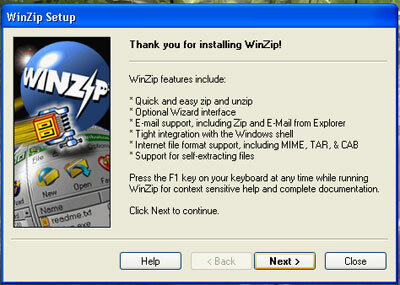 WinZip will open for the first time. 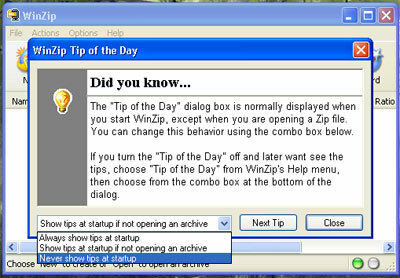 You can turn off the Tip Of The Day by pulling down the drop down box and selecting Never Show Tips at Startup. When done, close WinZip. Now that WinZip is installed, let’s shrink a file! As you can see in the image below, I took an installation program I had on my desktop and decided to send it to a ‘friend’ over email. So here is what you do. Find your file you want to compress. Right click on it, place your mouse over the WinZip option. A submenu will appear. Select Add To <name of file>.zip. WinZip will start up and compress the file. Once it’s done, you should see a new file appear which contains your compressed file. You’re done! Man, that water must have been cold. Now all you have to do is open up your email program, attach the file, and send it off. Not only is it small but, man, was that fast! You can, of course, do this with any file. I do recommend, however, that you still watch the file size. This is great for some files, but it is best to only send files smaller than 10 MB through email. Look for my follow-up article on our next article. I’ll show you how to share your files over the Internet and next time, size won’t matter!